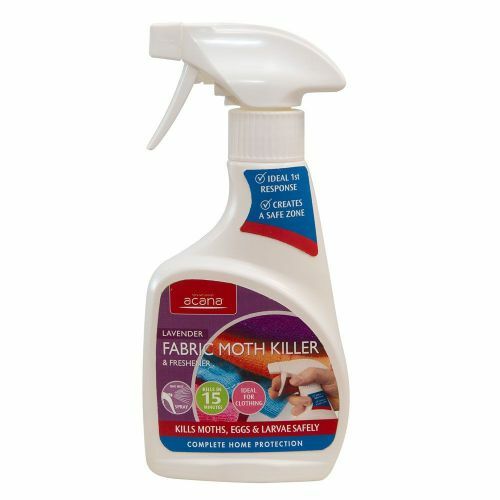 Order today Acana Moth Killer Clothing & Fabric Spray! 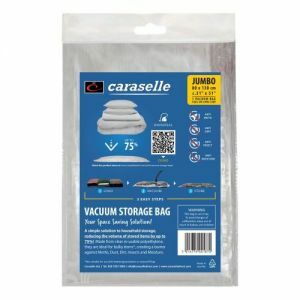 Brand New from Acana and exclusive to Caraselle, this is the FIRST RESPONSE when you find a Moth Problem in your home or office. Unlike the Acana Carpet and Fabric Spray, this new formula can be used DIRECTLY onto clothing and DIRECTLY onto the flying adult moth to Kill and Protect. This fantastic First Response Application kills Adult Moths AND Larvae in just 15 Minutes! SEE IT - SPRAY IT! Our new Acana Spray has been specifically formulated using the latest technology. This "Instant Action" product kills moths, eggs and larvae in just 15 minutes and is an ideal 1st Response to any infestation. 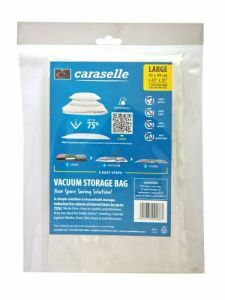 It also treats items ready for storage to create a moth-free 'Safe Zone' to provide reassurance before storing items (Ideal for use in conjunction with "Continuous Action" Acana Sachet & Hanging Moth Killers). The handy trigger pack is easy to handle - even in confined spaces - and has a fine mist spray. 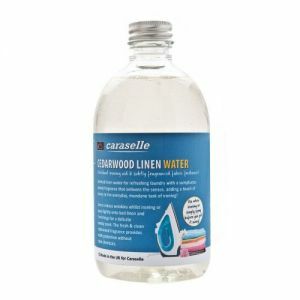 Ideal for the treatment of Fabrics and Clothing and provides a light, fresh and clean Lavender Fragrance. Also suitable for other fabrics such as curtains, carpets and upholstery, this is an extremely versatile product with Acana's trademark Lavender Fragrance for freshness. This handy bottle features an ergonomic design and trigger spray that can be used to treat approximately 13.75 square metres. 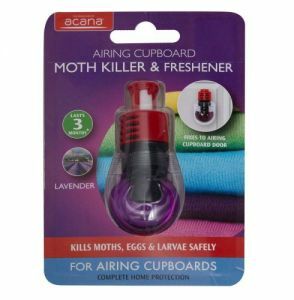 Achieve complete Moth Protection in your Home with Acana's Leading Moth Killing Range - many more options available.